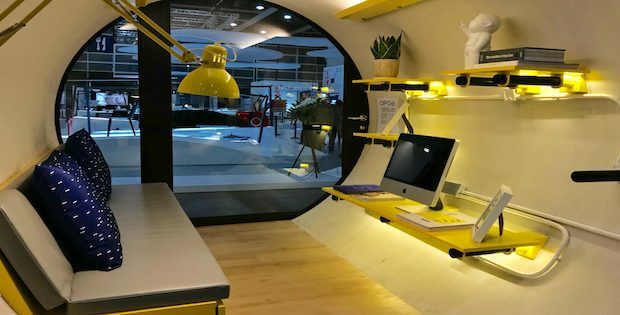 Hong Kong is one of the many cities around the world where housing can get quite pricey, but a concept by James Law for a tiny home may just help solve this problem for many. 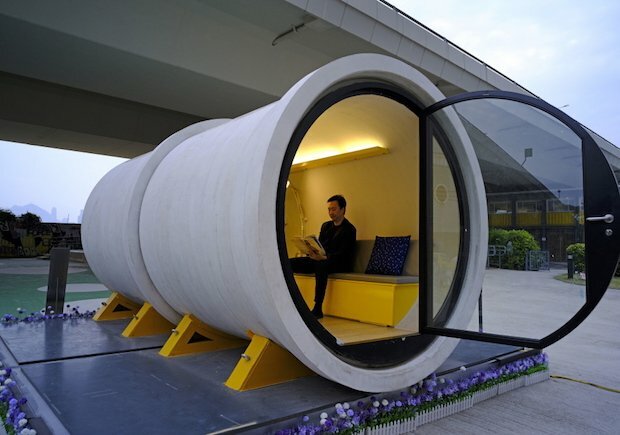 Introducing the OTube Tube Home which is basically a giant concrete drainage pipe with its inside repurposed into a stylish micro-apartment. 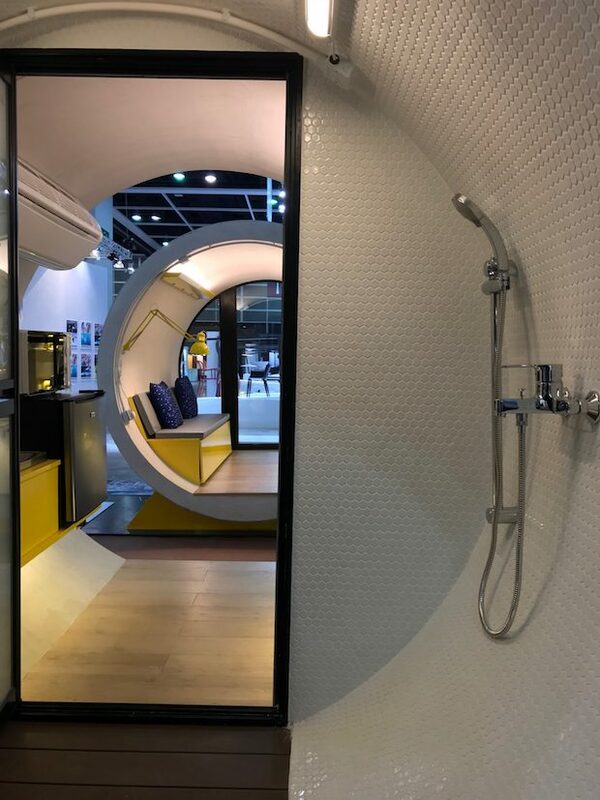 Everything you need all crammed into 100 square feet, like a couch that can change into a bed to save space, a section of the pipe for the kitchen and a bar fridge, and yes there’s still enough space for the bathroom which is a combined shower and toilet. 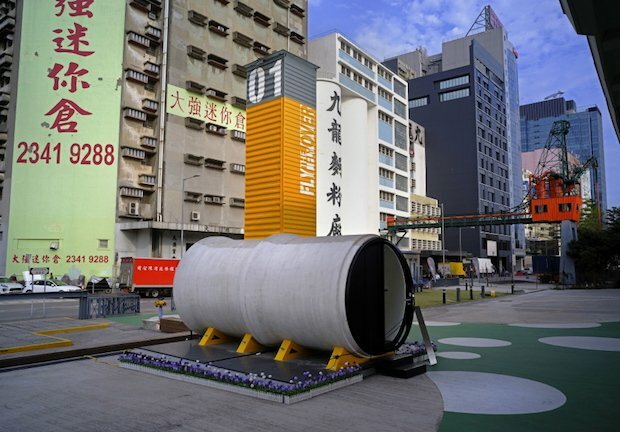 The OTube has the potential to pave way for a more efficient and a more affordable type of housing in a city like Hong Kong. 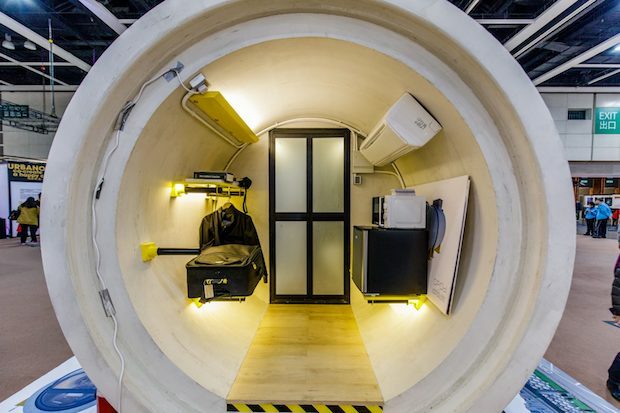 It’s less a long-term solution to Hong Kong’s housing crisis than a novel way to make use of leftover spaces where conventional housing doesn’t fit. 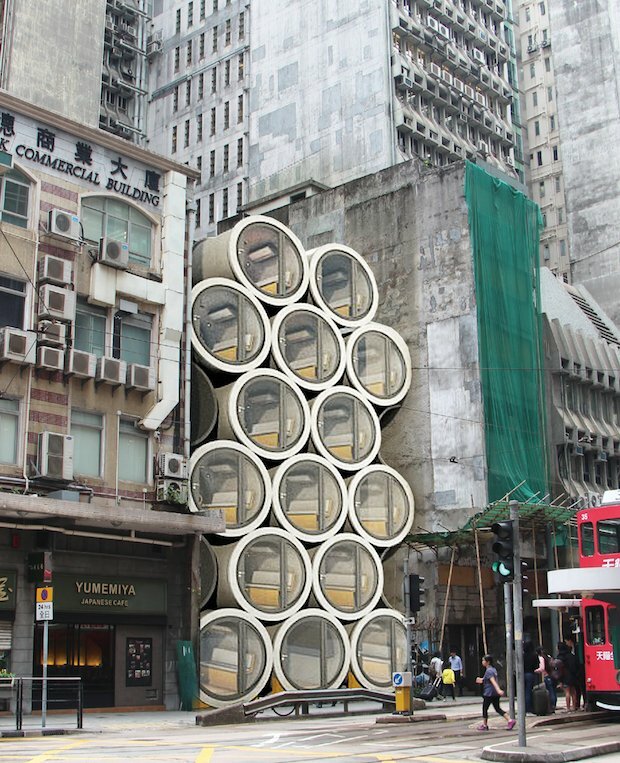 The pipe homes could be stacked into gaps between buildings, under highway overpasses or on the roofs of existing buildings.